The school day starts at 8:40 am and finishes at 3.15 pm. Registration is from 8.40 am to 8.50 am. The children are encouraged to arrive at 8.40 am to complete their early morning activities. Healthy snacks are offered to all of KS1. F/S and KS1 classes do not participate in morning break times on the playground as they have continuous provision to allow them to be active all of the time that they are in class. Willow, Ash, Fir and Oak have their 15 minute break at 10.45 am. KS2 are encouraged to provide their own healthy snacks of fruit or vegetables. LUNCHTIMES: Children have lunch between 12.00 pm and 1.00 pm. Lunchtime Company now cook our lunches. We believe that Lunchtime should be the highlight of the day for everyone at Manea Community Primary School. We want to help children gain a real appreciation for good quality food, where it comes from, how it’s produced and why healthy food is important. School meals are provided by Cambridge-based specialist schools caterer; The Lunchtime Company www.lunchtime.co.uk. They provide delicious, nutritious and healthy meals every day. Together we offer children a wonderful choice of hot food, fresh vegetables, freshly baked bread, fresh fruit, yogurt, jacket potatoes… there really is something for everyone. All meals are cooked from fresh ingredients every day, sourced locally (where possible within a 60 mile radius of the school), and prepared on-site. Over the course of the academic year we provide an array of theme days, activities, cookery classes and charity events – these are advertised around the school and on the website. It is recommended that children from the age of 5 should be doing at least 60 minutes of physical activity a day. It has been shown that physical activity can help to support children's learning behaviours. 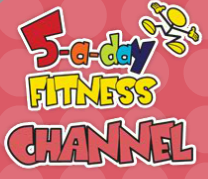 Throughout the day, the children take part in a 5 minute fitness break led by the 5-a-day channel. Click on the picture below to have a go for yourself at home! At the beginning of the school day, parents are encouraged into the playground. This helps to build up a close relationship between home and school - we want to have good links with all parents. If normal arrangements have to be altered (eg you are delayed or another person is collecting your child), please let us know. This avoids any confusion or upset. To get to and from school, walking is definitely the best option! There are lots of benefits: it's healthier than travelling by car, it improves the safety of pedestrians and road-users, and it respects nearby residents and parking regulations. Alternatively, we have bike racks. If you do need to travel by car, please park wisely.